A Fellow of the Royal Institution of Chartered Surveyors, Ken is a former chair of the RICS Building Control Professional Group. He has presented papers across the country speaking on all aspects of the Building Regulations, but specialises in Safety of Sports Grounds and Crowd Management at large outdoor events. He served as chair of the Core Cities Group and its Safety at Sports Grounds and Events Working Group and was chair of the Sunderland Stadium of Light Safety Advisory Group for many years but stepped down as chair from all roles upon leaving local government in 2013 to take up employment with the Sports Grounds Safety Authority (SGSA). 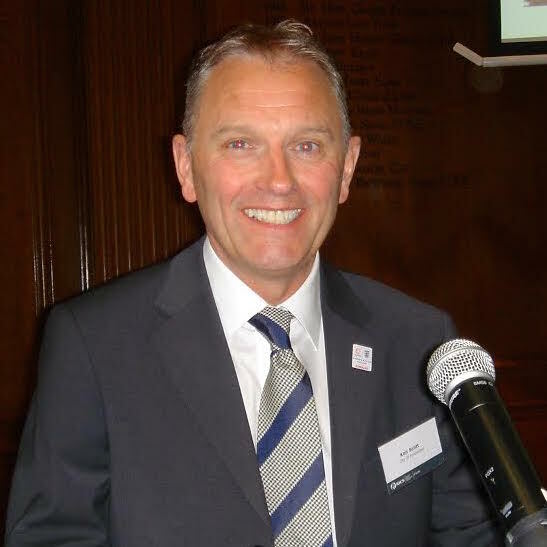 From April 2016 Ken has taken on the role of Head of Inspectorate at SGSA with responsibility for leading and managing the organisations team of inspectors and helping deliver the organisations ambitious new strategy to become the worlds leading authority on sports grounds safety. Ken was a co author of the Football Stadia Improvement Fund/ FLA Sports Ground and Stadia Guide No 3 on Concourses and co author on a new SGSA guide on alternative uses of sports grounds. He is also co author of the RICS guidance document Sports Grounds Certification published in 2012. He also took the strategic lead role and is co-author of the Guide to Safety at Sports Grounds 6th edition (the Green Guide) published in 2018. The document is widely respected around the world as the leading guidance document on safety of sports grounds. As a member of a BSI technical committee working on spectator safety Ken sits on the CEN committee looking towards standardising legislation and guidance on spectator safety across Europe. Ken is also a technical advisor and rapporteur to the Council of Europe and has taken part in joint consultative visits to member countries to advise on spectator and stadium safety. He is also one of a small team of experts supporting the Interpol Stadia Knowledge Management System, a platform set up to share best practice harvested from the worlds largest sporting events. Ken is frequently asked to present papers on sports grounds safety and has travelled the world to share his expertise to delegates ranging from independent venues to World and National Governing Bodies, Governments and trade organisations.